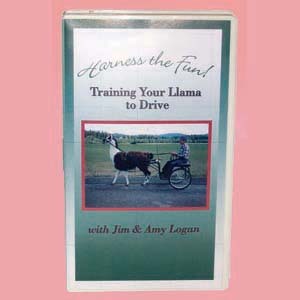 Learn how to safely train your llama to drive with this fast paced, professional video tape. See how to select & properly fit your driving equipment, watch the training process by watching over 20 different llamas learn to drive. Includes sections on troubleshooting, backing, change of pace, advanced driving and more. 75 minutes.